No matter how old you are or whether you go by yourself or take the whole family along, Oliver!, directed by Laurence Connor, is a fantastic show which wows the audience. The impressive set dominates the whole stage and seamlessly transforms into every location, such as the dingy workhouse, Fagin’s den and the bustling market streets, which often include iconic London landmarks including St Paul’s Cathedral and London Bridge. Each individual piece of set pays close attention to detail and perfectly captures Victorian London. Brian Conley’s comical portrayal of Fagin received a warm welcome from the audience and he instantly became the ‘loveable rogue’. With his exaggerated facial expressions, gruff voice, and costume, Conley was both engaging and brilliant to watch. Cat Simmons’ Nancy was feisty and quite at home in the pub singing ‘Oom-pah-pah’, yet her vulnerability was revealed in her outstanding performances of ‘As long as he needs me’. Iain Fletcher as Bill Sikes was dark, creepy and threatening drawing plenty of boos from the audience. Although, on occasion, the dialogue was not free flowing, every song was performed flawlessly with fast-paced and contemporary choreography created by Matthew Bourne. In particular, ‘Consider Yourself’ was an exciting and eye catching performance that maintains its place as a theatre audience favourite. Both Oliver (Harry Polden) and the Artful Dodger (Max Griesbach) fitted their roles perfectly. Polden captured the innocence and sweetness of Oliver with his angelic vocals. In contrast to Oliver, Griesbach’s Artful Dodger was cheeky and comical, allowing him to gel with Conley superbly. The comical and quirky relationships between Jack Edwards as Mr Bumble and Suzie Chard as Mrs Bumble, along with David Langham as Mr Sowerberry and CJ Johnson as Mrs Sowerberry were brilliant to watch too. 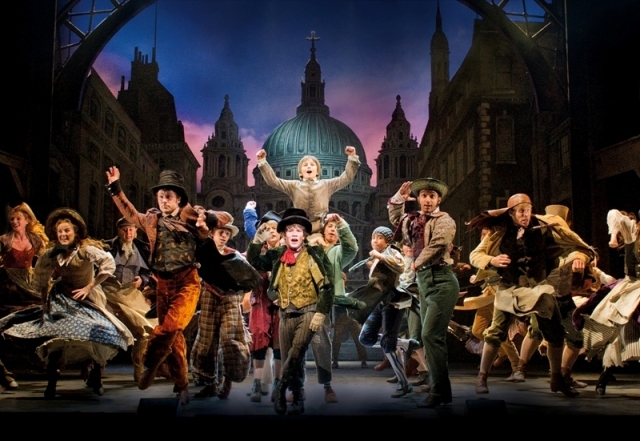 This wonderful production of the much loved musical is not to be missed so go consider yourself at home at the Edinburgh Playhouse this June and we guarantee you'll leave asking for more.